Code . . . Silver?? 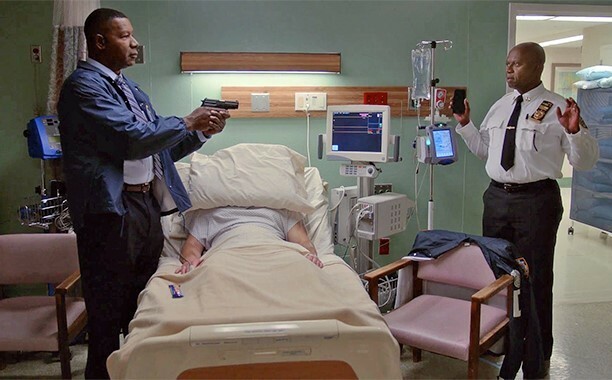 In Episode 23 of Season 3 of Brooklyn 99 (@Brooklyn99FOX, www.fox.com/brooklyn-nine-nine) as Jake (@thelonelyisland) and Terry (@terrycrews) are scampering about trying to get Bob Anderson out of the hospital, guns are brandished and hospital personnel call a Code Silver. You may have heard of a Code Blue but what about the other colors? Interestingly there are no standards for the types of codes called in hospitals. Some use colors. Some use plain language so as not to confuse staff and visitors. Here are some of the color codes where I work. 5. Code Silver = active shooter/ weapon in the work place. So the next time you visit a hospital keep your ears open!